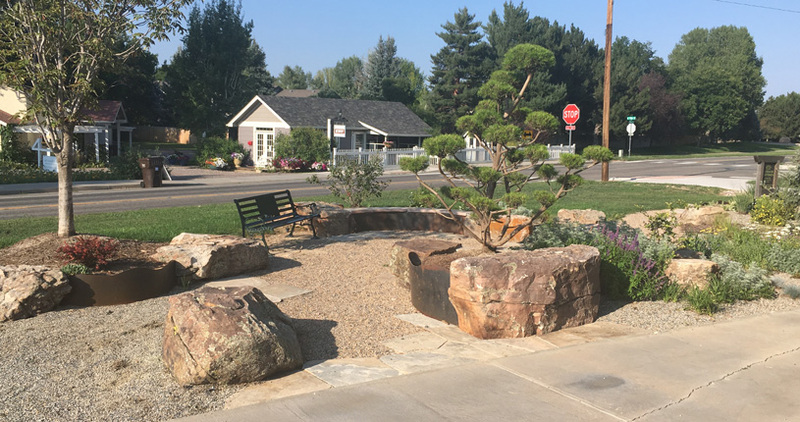 Niwot’s Sculpture Park Committee is accepting proposals from artists who wish to be considered for a temporary (1 year) sculpture installation to be located in one of seven locations at Community Corner at Sculpture Park, on the West corner of Niwot Road and N. 79th St, Niwot, Colorado. The delightful vintage town of Niwot sits just off the highway between Boulder and Longmont. With a vibrant residential and business community overlooking the Front Range of the Rocky Mountains Niwot is a unique town with great restaurants, breweries, coffee shops and cute locally-owned stores as well as fantastic history and art. With a packed calendar of events and parades - Halloween, 4th of July, Wine About Winter, Enchanted Evening, First Friday Art Walks etc, there is always a lot going on in Niwot! It is expected that Community Corner at Sculpture Park, Niwot would form a key part of First Friday Art Walks and the art and artists would be publicized in Niwot communications, including availability for purchase at the end of the installation, if appropriate. The location is at a crucial crossroads linking the historic downtown and the Cottonwood shopping districts and steps away from existing tree sculptures. The Niwot Sculpture Park Committee is a local committee of volunteers made up of representatives of the Niwot Community Association, Niwot Business Association, Niwot Cultural Arts Association, Niwot Future League, Cottonwood West Home Owners’ Association, artists and Niwot residents. The committee is tasked with bringing a first installation of seven sculptures to be installed at Community Corner for one year. 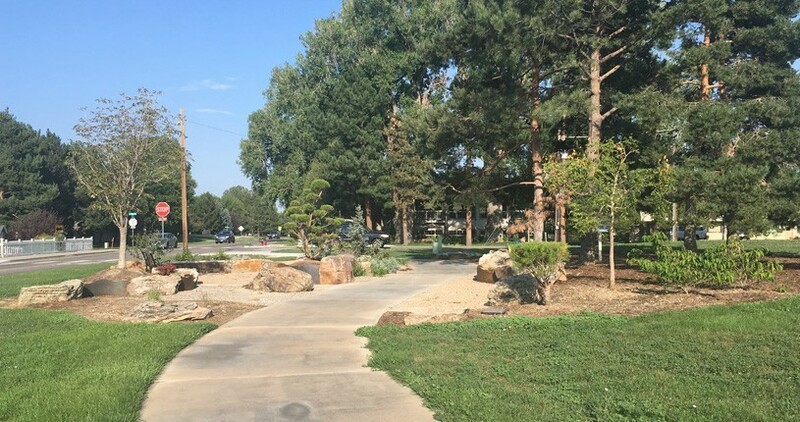 The committee is seeking a variety of sculpture in terms of themes, size, materials etc that will enhance Community Corner and add to Niwot’s ambience and the enjoyment of residents and visitors. Artists may submit up to three (total) works, and up to twelve images total (eg. you may submit four images of one piece). The maximum number of works by one artist in Community Corner during one year shall be two. The artwork must be able to withstand exterior conditions from extreme heat, wind, precipitation and cold. Please submit your recommendation for pedestal and installation methods. November 2018 - official launch of sculptures in Community Corner at Sculpture Park. November 2nd 2018 - First Friday Public Voting for public choice winner. Seven artworks will be chosen to participate. A stipend of $750 for one year will be available for one of these sculptures, and this stipend will be awarded by the committee. In addition, a second stipend of $250 will be awarded for one of the sculptures, based on a public vote after installation has taken place. The artist shall be responsible for transportation of the artwork to the site, and the Sculpture Park Committee shall be responsible for installation. The artist should provide own insurance for the artwork. The selected artists will be required to provide proof of insurance within 30 days of notification of winning the commission. Any practicing visual artist residing in the state of COLORADO may apply. Students pursuing graduate or undergraduate degrees in fine art are eligible. Galleries may apply on behalf of individual artists. A selection panel, comprising members of the Sculpture Park Committee, will review all submissions. Selection criteria include quality and innovation, compatibility with the site, and public safety. The selection panel, will select the artwork based on the aforementioned criteria. Three finalists may be selected in the process. Information beyond the scope of this proposal will not be available until after the artists are selected.